Do you want a better way to recycle all those jars you have been emptying during your suhoor meals? We finished up the last of the berry jam this dawn and ended up with a great craft project by the afternoon, making this Eid night light. 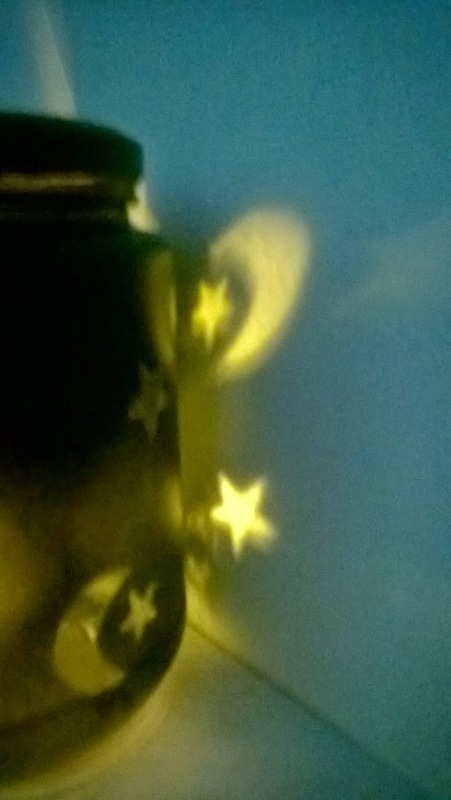 This night light was so inexpensive and easy to make. You don’t have to add the Eid letters like we did. Instead, you can use this for kids who need a little extra comfort at night by personalizing it with their names. 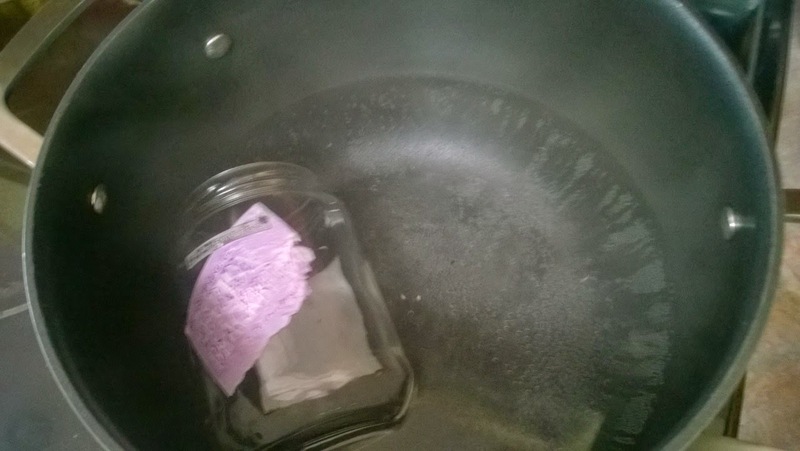 To get the original berry stickers off our jar, we boiled it in some hot water for a few minutes (after removing the lid). You can also get them off with a hair dryer or embossing tool. 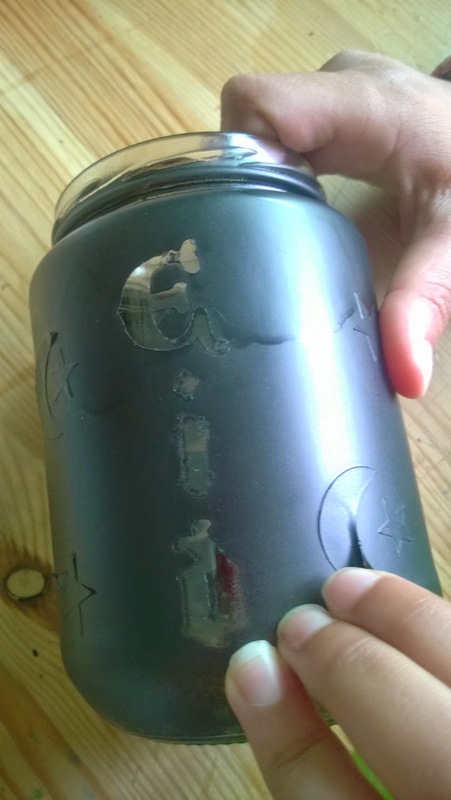 Dry off your jar and place the letter stickers E I D on one side. 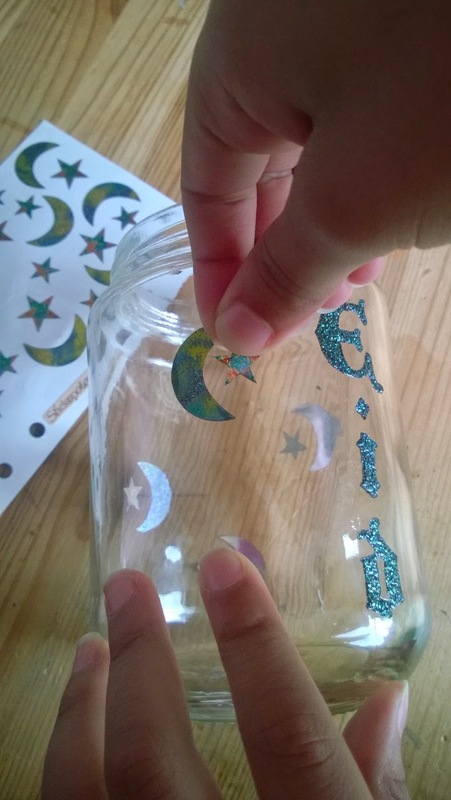 Randomly place crescent moons and stars over other parts of the jar. Make sure everything is on there tight, so the paint doesn’t seep under the stickers. Place the lid back on jar. 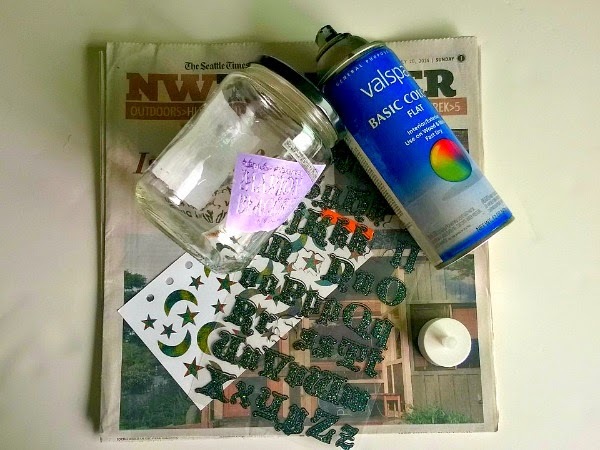 Find a well ventilated area and lay down newspaper. 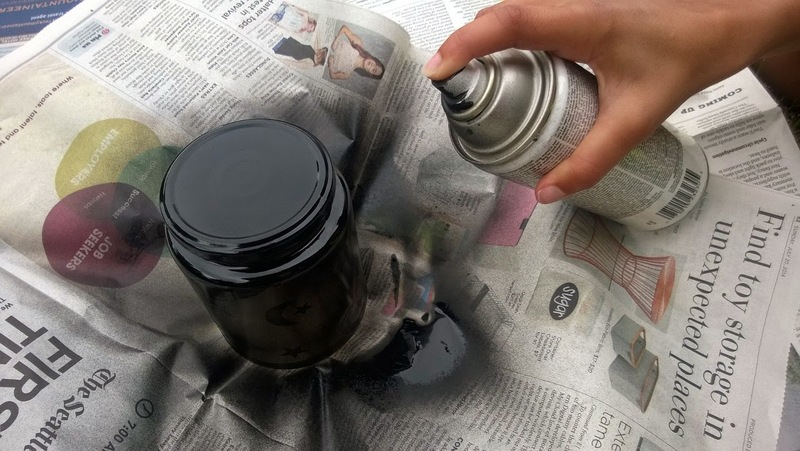 Spray paint your jar. Let your paint dry completely for a few hours and then remove the stickers. I helped a little with my xacto knife on an edge, just to start. We also took the lid back off so it was easier to hold on while removing the stickers. Place your led light inside and watch the reflections on the wall. Since you have the lid back on tight, these might look cool floating in a pool too! My photo attempts at getting a completed jar didn’t turn out at planned, but in person, this really is gorgeous. It just still smells like spray paint, so don’t put it next to your bed. You don’t want to wake up to a headache from the fumes. Maybe make a bunch of them and put them all over your backyard for a iftar bbq! 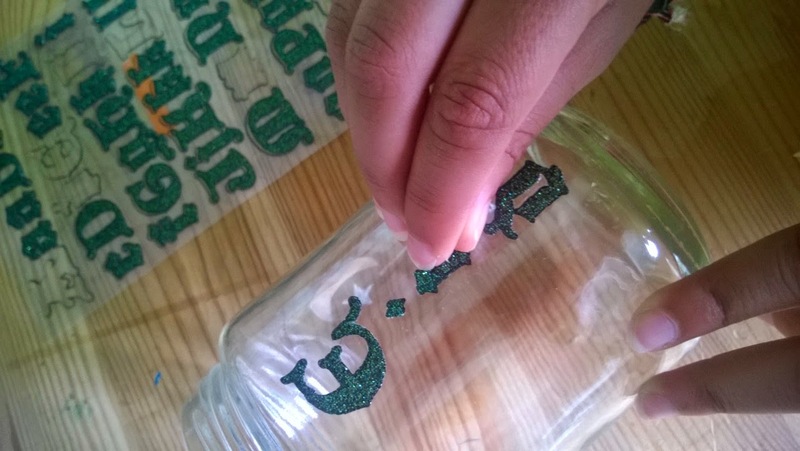 Stop by A Crafty Arab on Pinterest to see more tutorials.